The German Historical Institute in Washington, D.C. is a center for advanced study and research whose purpose is to provide a permanent basis for scholarly cooperation between historians from the Federal Republic of Germany and the United States. 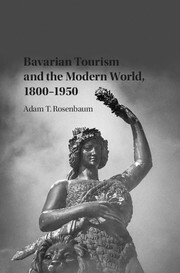 The Institute conducts, promotes, and supports research in both American and German political, social, economic, and cultural history; into transatlantic migration, especially during the nineteenth and twentieth centuries; and into the history of international relations, with special emphasis on the roles played by the United States and Germany. Falling Behind or Catching Up?